The Public Library of Science, aka PLOS, recently announced a new policy on the availability of the data used in all papers published in all PLOS journals. The mandate is simple: all data must be either already publicly available, or be made publicly available before publication, except under certain circumstances . On the face of it, this is fantastic news. It is wholly in line with PLOS’s larger mission of making the outcomes of science open to all, and supports the morally correct goal of making all scientific knowledge accessible to every human. It should also help preserve data for posterity, as apparently a paper’s underlying data becomes increasingly hard to find as the paper ages . But, I think the the truth is more complicated. PLOS claims that it has always encouraged authors to make their data publicly available, and I imagine that in the vast majority of cases, those data are in fact available. But the policy does change two things: (i) data availability is now a requirement for publication, and (ii) the data are supposed to be deposited in a third-party repository that makes them available without restriction or attached to the paper as supplementary files. The first part ensures that authors who would previously decline or ignore the request for open data must now fall into line. The second part means that a mere promise by the authors to share the data with others is now insufficient. It is the second part where things get complicated, and the first part is meaningless without practical solutions to the second part. First, the argument for wanting all data associated with scientific papers to be publicly available is a good one, and I think it is also the right one. If scientific papers are in the public domain , but the data underlying their results are not, then have we really advanced human knowledge? In fact, it depends on what kind of knowledge the paper is claiming to have produced. If the knowledge is purely conceptual or mathematical, then the important parts are already contained in the paper itself. This situation covers only a smallish fraction of papers. The vast majority report figures, tables or values derived from empirical data, taken from an experiment or an observational study. If those underlying data are not available to others, then the claims in the paper cannot be exactly replicated. Some people argue that if the data are unavailable, then the claims of a paper cannot be evaluated at all, but that is naive. Sometimes it is crucial to use exactly the same data, for instance, if you are trying to understand whether the authors made a mistake, whether the data are corrupted in some way, or understand a particular method. For these efforts, data availability is clearly helpful. But, science aspires for general knowledge and understanding, and thus getting results using different data of the same type but which are still consistent with the original claims is actually a larger step forward than simply following exactly the same steps of the original paper. Making all data available may thus have an unintended consequence of reducing the amount of time scientists spend trying to generalize, because it will be easier and faster to simply reuse the existing data rather than work out how to collect a new, slightly different data set or understand the details that went into collecting the original data in the first place. As a result, data availability is likely to increase the rate at which erroneous claims are published. In fields like network science, this kind of data reuse is the norm, and thus gives us some guidance about what kinds of issues other fields might encounter as data sharing becomes more common . Of course, reusing existing data really does have genuine benefits, and in most cases these almost surely outweigh the more nebulous costs I just described. For instance, data availability means that errors can be more quickly identified because we can look at the original data to find them. Science is usually self-correcting anyway, but having the original data available is likely to increase the rate at which erroneous claims are identified and corrected . And, perhaps more importantly, other scientists can use the original data in ways that the original authors did not imagine. Second, and more critically for PLOS’s new policy, there are practical problems associated with passing research data to a third party for storage. The first problem is deciding who counts as an acceptable third party. If there is any lesson from the Internet age, it is that third parties have a tendency to disappear, in the long run, taking all of their data with them . This is true both for private and public entities, as continued existence depends on continued funding, and continued funding, when that funding comes from users or the government, is a big assumption. For instance, the National Science Foundation is responsible for funding the first few years of many centers and institutes, but NSF makes it a policy to make few or no long-term commitments on the time scales PLOS’s policy assumes. Who then should qualify as a third party? In my mind, there is only one possibility: university libraries, who already have a mandate to preserve knowledge, should be tapped to also store the data associated with the papers they already store. I can think of no other type of entity with as long a time horizon, as stable a funding horizon, and as strong a mandate for doing exactly this thing. PLOS’s policy does not suggest that libraries are an acceptable repository (perhaps because libraries themselves fulfill this role only rarely right now), and only provides the vague guidance that authors should follow the standards of their field and choose a reasonable third party. This kind of statement seems fine for fields with well-developed standards, but it will likely generate enormous confusion in all other fields. The final major problem is that not all data should be shared. For instance, data from human-subjects research often includes sensitive information about the participants, e.g., names, addresses, private behavior, etc., and it is unethical to share such data . PLOS’s policy explicitly covers this concern, saying that data on humans must adhere to the existing rules about preserving privacy, etc. But what about large data sets on human behavior, such as mobile phone call records? These data sets promise to shed new light on human behavior of many kinds and help us understand how entire populations behave, but should these data sets be made publicly available? I am not sure. Research has shown, for instance, that it is not difficult to uniquely distinguish individuals within these large data sets  because each of us has distinguishing features to our particular patterns of behavior. Several other papers have demonstrated that portions of these large data sets can be deanonymized, by matching these unique signatures across data sets. For such data sets, the only way to preserve privacy might be to not make the data available. Additionally, many of these really big data sets are collected by private companies, as the byproduct of their business, at a scale that scientists cannot achieve independently. These companies generally only provide access to the data if the data is not shared publicly, because they consider the data to be theirs . If PLOS’s policy were universal, such data sets would seem to become inaccessible to science, and human knowledge would be unable to advance along any lines that require such data . That does not seem like a good outcome. PLOS does seem to acknowledge this issue, but in a very weak way, saying that “established guidelines” should be followed and privacy should be protected. For proprietary data sets, PLOS only makes this vague statement: “If license agreements apply, authors should note the process necessary for other researchers to obtain a license.” At face value, it would seem to imply that proprietary data sets are allowed, so long as other researchers are free to try to license them themselves, but the devil will be in the details of whether PLOS accepts such instructions or demands additional action as a requirement for publication. I’m not sure what to expect there. On balance, I like and am excited about PLOS’s new data availability policy. It will certainly add some overhead to finalizing a paper for submission, but it will also make it easier to get data from previously published papers. And, I do think that PLOS put some thought into many of the issues identified above. I also sincerely hope they understand that some flexibility will go a long way in dealing with the practical issues of trying to achieve the ideal of open science, at least until we the community figure out the best way to handle these practical issues. PLOS's Data Access for the Open Access Literature policy goes into effect 1 March 2014. See “The availability of Research Data Declines Rapidly with Article Age” by Vines et al. Cell 24(1), 94-97 (2013). Which, if they are published at a regular “restricted” access journal, they are not. For instance, there is a popular version of the Zachary Karate Club network that has an error, a single edge is missing, relative to the original paper. Fortunately, no one makes strong claims using this data set, so the error is not terrible, but I wonder how many people in network science know which version of the data set they use. There are some conditions for self-correction: there must be enough people thinking about a claim that someone might question its accuracy, one of these people must care enough to try to identify the error, and that person must also care enough to correct it, publicly. These circumstances are most common in big and highly competitive fields. Less so in niche fields or areas where only a few experts work. If you had a profile on Friendster or Myspace, do you know where your data is now? Federal law already prohibits sharing such sensitive information about human participants in research, and that law surely trumps any policy PLOS might want to put in place. I also expect that PLOS does not mean their policy to encourage the sharing of that sensitive information. That being said, their policy is not clear on what they would want shared in such cases. And, thus perhaps easier, although not easy, to identify specific individuals. And the courts seem to agree, with recent rulings deciding that a “database” can be copyrighted. It is a fair question as to whether alternative approaches to the same questions could be achieved without the proprietary data. Attention conservation notice: 3200 cranky words on the PhD over-supply "crisis." Higher education is always having crises, it seems. Some of this is probably a kind of marketing strategy, because genuinely serious problems are so systemic and slow-moving that it's easy to ignore them, or because you can't get people to pay attention in today's saturated media environment without a large dose of hyperbole. But, one "crisis" in particular did catch my attention over the past few years: the harsh market faced by relatively new PhDs seeking faculty jobs . Nature did a full spread on the future of the PhD, The Economist weighed in with their own coverage, and I'm sure the Chronicle of Higher Education has done a number of stories on the topic. Now, Online PhD has done its own report, in the form of a slick infographic packed with grim factoids and numbers. What most of these perspectives miss, and what makes some of their analysis a little shrill, is the historical context of higher education and its growth trajectory over the past 70 years . The overall upward trend in PhD production over this time period can be blamed on huge increases in federal funding for research, on huge growth in the number of students getting undergrad degrees, on a vast broadening of higher education as a whole and on intensified competition between research-oriented universities. That being said, increased production of PhDs doesn't necessarily mean increased competition. If the number of tenure-track faculty positions increases at the same rate as the production of PhDs, then in principle competition could remain flat. This point gets a lot of attention in the popular discussion and the argument is often that if only we could increase the number of tenure-track lines, everything would be great. But this obscures the complexity of the problem. First, faculty lines are largely paid for by undergraduate (or professional degree) tuition , so increasing the size of the faculty requires increasing the size of the undergraduate population, which has its own problems. Second, part of the modern National Science Foundation's mandate is actually to overproduce graduate students , and this is largely at the behest of Congress . Alternatively, we could solve the over-supply of PhDs by reducing the overall production, but this would negatively impact the amount of research being produced (since it's largely done by PhD students), the teaching of many departments (again, often done by PhD students) and would reduce the supply of highly educated individuals to non-academic professions. Fourth, the history of higher education as an industry is a series of large expansions and contractions, and the effects of these are often felt and distributed unevenly . Life and job prospects for faculty in expanding fields are good, but are hard during contractions. (These effects are surely amplified for young scholars and so one possibility would be better knowing and advertising the true employment prospects for graduates; but maybe not .) It's not entirely clear to me that academia is actually experiencing a contraction, despite the federal budget travails. A more truthful statement may be that higher education is restructuring, which brings us to the issue of "good" jobs versus "bad" jobs. It's true that universities (at least in the US) are increasingly made up of two types of faculty, those either with or who are eligible for tenure ("tenure track"; a population that is, at best, growing fairly slowly) and those without or who can never receive tenure (teaching faculty, adjuncts, etc.). The latter group is much larger now than it used to be, but it's not very well integrated into the decision-making systems of universities, and this, I think, leads to some level of systemic abuse. In the long run, it seems likely that these groups will become better integrated into the decision-make system, which will reduce the abuse . But a more interesting question, I think, is why has this population grown so much so recently? The role that universities play in society is changing, and I think the growth of these lower-quality jobs reflects this shift. The US economy overall has shifted significantly toward service-sector jobs and the growth in adjunct and teaching positions at universities should probably be seen as the higher education equivalent. This may be driven in part by the commoditization of a bachelors degree (which is primarily what non-tenure-track faculty help produce), which society has demanded and the universities have embraced (especially the big public universities and the non-endowed private colleges, where increased enrollment means increased tuition revenue). For their part, colleges and universities are figuring out that they can produce an apparently equivalent "product" at significantly lower cost by relying more heavily on non-tenure track faculty [11,12]. It seems telling that losses of tenure-track lines are often at colleges and universities well below the "top tier", where the struggle for product differentiation and the negative consequences of price competition are likely stronger. So, it seems reasonable to expect growth in these "bad" jobs in places where the service rendered (education provided) is less specialized, e.g., entry- or lower-level undergraduate classes where the material is highly standardized and probably does not require the best of the best minds to teach. Another aspect is that tenure is not just about protecting faculty from being fired for political reasons. Tenure also allows universities to fulfill their mission toward preserving knowledge because tenured faculty will be around for a long time, communicating their vast and detailed knowledge to the next generation. Eliminating tenure lines may basically mean that an institution is giving up some or all of its commitment to the knowledge preservation mission. This is surely a loss for society as a whole, but it does raise the interesting question about which institutions are best positioned to fulfill that mission -- it may be that the institutions who are giving up on it were not doing a very good job at it in the first place. The fact that tenure lines are mainly (but not always) being lost from the lower-ranked institutions suggests that the top places are largely still committed to this mission, even if they are retrenching to some degree (perhaps because of the shifting demands on bachelor degree production described above). So, let's take stock. Is there a crisis? Not in the usual definition of the word, no. But, there are serious issues that we should consider, and these tap deep into both the mission and purpose of higher education and its relationship to society as a whole. The good things for society about the current system are that the over-supply of PhDs produces a steady stream of highly educated people for other industries and government to use. The over-supply means that low-quality departments will tend to improve over time because they can hire better people than their peers tend to produce. The over-supply also means that the best or most desirable departments will also tend to improve over time because they can select their new hires from the very best of the very best. For scholarship in general, this is a good thing. The over-supply means that academia has a large supply of low-cost skilled labor (graduate students) for producing research, educating younger students, etc. And, the over-supply means that academia has an adequate supply of potential faculty to facilitate restructuring needs, i.e., responding to the changing demands from society and the changing roles of universities. The bad things are that the over-supply is a colossal waste of human potential for people who aspire to be faculty but who ultimately fail to find employment. For instance, many very talented individuals will spend substantial time in low-paying, low-benefits temporary employment (graduate students, postdocs, adjuncts, research faculty positions, etc.) only to discover years or decades later that these years are now counted against them on the job market (and not just in the academic market). The over-supply makes the individual experience of finding a job fairly brutal and with a high error rate (many people who should get faculty jobs do not ). Success also comes with a cost in the form of moving a very large distance (the faculty job market is one of the few truly national labor markets). The over-supply has made it easy for susceptible colleges and universities to slowly replace their tenure track faculty with non-tenure faculty with less autonomy, less security, lower pay and lower benefits, which ultimately means these institutions basically abandon one of their missions: preserving human knowledge. It also makes the institution less democratic, which likely has a negative impact on the campus culture and the educational environment. Just as this situation did not appear suddenly, I don't think it will change significantly in the near future. Although Congress is a powerful voice in higher education, and has had a direct role in creating the over-supply, the large and complex ecology of higher education institutions, society itself and the economy as a whole are also key players. What happens will depend on their interactions, and lobbying Congress alone may lead to unexpected and undesirable results . In the near term, I think the over-supply will persist (and if anything the job market will become even more competitive, but again this is not a completely bad thing), the number of non-tenured positions will continue to increase (mainly at lower-ranked institutions or for teaching intro classes at the higher-ranked places), undergraduate degrees will become even more comoditized, and the mission of knowledge preservation will be increasingly concentrated among the better or more financially stable institutions. One long-term consequence is a partitioning of the faculty at research universities into "research" faculty (tenure-track faculty who do research and teach mainly graduate and upper-level undergraduate courses, of which I am one) and "teaching" faculty (non-tenure track faculty who teach heavy course loads of lower-level undergraduate classes), but that does seem like the way things are going . I wish that research universities (and tenure-track faculty) would treat the non-tenure groups with more respect and include them more directly into the decision-making processes. And, I hope that we can find better ways of encouraging the very best young scholars to stick with it, even though the system will likely become only more brutal in the future . To end on a more positive note, one genuinely beneficial thing we as academics could do would be to encourage our PhD students to consider non-academic trajectories. That is, I don't think we should view the PhD as being exclusively an academic degree, and we could strive to teach our PhD students a combination of both academic and practical skills. This would increase their options on the job market, which may reduce the overall brutality that individuals currently experience. Partly because I was in that market myself. And, now being in a tenure-track position at a good university, I'm lucky enough to be on the other side of that harrowing process. Had I written this a couple of years ago, I'm sure I would have said slightly different things. These are well covered by Roger Geiger's excellent and authoritative books on the evolution of the American university system, in the post-war period and since 1990. These books are highly recommended. Geiger takes what should be a dry and boring subject and makes it a fascinating and insightful story. This is true at both public and private universities. The only place it's less accurate is in medical research schools, where faculty lines are often funded out of "soft" money from research grants. (Some are still funded from medical school tuition revenue, so the coupling with student populations is not eliminated.) The result is that these faculty lines are mainly sensitive to changes in federal funding levels. Another complicating factor is that tenure lines are traditionally tied to departments, and their number depends on student demand for those courses offered by that department. That is, teaching is still a labor-constrained activity. The division of that labor into departments means that growth in faculty lines is driven by changes in the popularity of different disciplines. The benefits for the faculty job market created by overall growth in student enrollments will thus be distributed unevenly. There are at least two factors that decouple the number of faculty lines and the popularity of the field: tenure, which means departments tend to shrink very slowly in response to decreasing popularity while the reverse is not true, and the commitment that all universities have to the preservation and production of knowledge, which means even an unpopular department may be maintained as a kind of cultural memory device. This is done partly through direct support to students (about 15% of the budget) and partly through grants (50% of the budget); typically, large portions of grants are in fact used to support graduate students by paying them as research assistants. Apparently, NSF has always struggled to justify its budget to Congress, who generally has an uncomfortable relationship with the idea of supporting basic research for the sake of humanity. For NSF, historically "supporting education," and more recently "supporting economic growth" (a.k.a. technology transfer), have been a successful arguments, and these are reflected in funding priorities. This is almost surely true in Computer Science, where some of the best programs are also some of the largest. For example, MIT and CMU collectively have about 250 faculty; if they each produce a single graduate each year, that would be enough to place one person at each of the other 200-odd PhD-granting Computer Science departments in North America. The per-faculty production rate is probably not so high, the overall volume may be so if we account for other top places like Stanford, Washington, Princeton, etc. If we include the fact that not every department hires every year, it seems entirely reasonable that the top 10 places could fill the entire annual market demand themselves. This effect probably happens faster for newer fields, e.g., complex systems. The best universities are all fairly sensitive to their perceived prestige and quality, and for them, it doesn't make strategic sense to risk their current standing with risky investments in untested fields. This means that lower-ranked universities who place smart bets can move up (at least during the time it takes for a field to become established enough that the top places start poaching the best people). Physics experienced a long expansion, but that had largely run its course in the United States by the time Congress trashed the Superconducting Super Collider in 1993. In contrast, biomedical research has been expanding fairly steadily for 70 years, which is probably why it dominates federal science budgets. The "golden age" of science was really the post-war and Sputnik eras, when federal spending was expanding faster than universities could satisfy the demand for research. The 1970s were apparently a fairly broad contraction, because Congress moved to limit the growth in science budgets (for instance, NASA's budget peaked in the early 1970s) and because student enrollment growth tempered. Since then, the expansions and contractions have been less even. On the other hand, had anyone convincingly explained to my younger self just what life would be like in my first few years as a professor, I may have decided to try a different career path. More generally, ignorance may be a crucial part of what makes the whole system work: it allows us to unknowingly take foolish risks that sometimes yield truly remarkable, or at least highly improbable, results. At the collective level, youthful foolishness may be essential to keeping the quality of the faculty high despite the brutality of the career path. Of course, in the meantime it's terrible that some institutions and individuals are taking advantage of the current powerlessness of these groups. They can and should be integrated into the academy and given a voice. Some graduate and professional degrees also show evidence of becoming commodities, for instance, MBAs. It's not clear that PhDs are facing similar pressures, although in my darker moments I believe it. From this perspective, things like Stanford's free online courses may be a truly disruptive innovation. They offer the possibility of dramatically lowered cost, dramatically increased "production" and they seem to require a currently specialized set of skills. Of course, their success could destroy what remains of the tenure track at smaller or less unique institutions. As I've learned, it's a highly stochastic and error-prone process. Departments tend to decide ahead of time to hire in a particular area, and this means top-notch candidates from outside that area are potentially passed over for less-top-notch candidates within the target area. The decision of which area to hire in is often driven by internal politics (which "group" is stronger, which has a louder voice, "who's turn" it is) or existing curricular needs rather than meritocratic or strategic concerns. And, even within a given area, it can be difficult to accurately access true merit and relative quality, particularly for junior positions where each candidate's track record is, by definition, relatively short. Did I mention that I'm reading PhD applications this week? Ugh. It certainly has in the past. Ironically, dividing the teaching and research between different groups of faculty is mostly how the Germans used to do things. Now, the Germans are Americanizing their system to some degree, while we Americans seem to be Germanizing ours. From my perspective, "early career" funding, fellowship and other young faculty support mechanisms seem to be wholly inadequate (in size and scope) and the easiest way to get them is to propose highly incremental, highly risk-averse research. This does not seem to be serving the right goals or to be teaching young faculty the right lessons about scholarship. This week I'm in Washington DC, hanging out at the Smithsonian (aka the National Museum of Natural History) with paleontologists, paleobiologists, paleobotanists, palaeoentomologist, geochronographers, geochemists, macrostratigraphers and other types of rock scientists. The meeting is an NSF-sponsored workshop on the Deep Time Earth-Life Observatory Network (DETELON) project, which is a community effort to persuade NSF to fund large-ish interdisciplinary groups of scientists exploring questions about earth-life system dynamics and processes using data drawn from deep time (i.e., the fossil record). One of the motivations here is the possibility to draw many different skill sets and data sources together in a synergistic way to shed new light on fundamental questions about how the biosphere interacts with (i.e., drives and is driven by) geological processes and how it works at the large scale, potentially in ways that might be relevant to understanding the changing biosphere today. My role in all this is to represent the potential of mathematical and computational modeling, especially of biotic processes. I like this idea. Paleobiology is a wonderfully fascinating field, not just because it involves studying fossils (and dinosaurs; who doesn't love dinosaurs? ), but also because it's a field rich with interesting puzzles. Surprisingly, the fossil record, or rather, the geological record (which includes things that are not strictly fossils), is incredibly rich, and the paleo folks have become very sophisticated in extracting information from it. Like many other sciences, they're now experiencing a data glut, brought on by the combination of several hundred years of hard work, a large community of data collectors and museums, along with computers and other modern technologies that make extracting, measuring and storing the data easier to do at scale. And, they're building large, central data repositories (for instance, this one and this one), which span the entire globe and all of time. What's lacking in many ways is the set of tools that can allow the field to automatically extract knowledge and build models around these big data bases in novel ways. Enter "computational paleobiology", which draws on the tools and methods of computer science (and statistics and machine learning and physics) and the questions of paleobiology, ecology, macroevolution, etc. At this point, there aren't many people who would call themselves a computational paleobiologist (or computational paleo-anything), which is unfortunate. But, if you think evolution and fossils are cool, if you like data with interesting stories, if you like developing clever algorithms for hard inference problems or if you like developing mathematical or computational models for complex systems, if you like having an impact on real scientific questions, and if you like a wide-open field, then I think this might be the field for you. ...there is a tension between stories and statistics, and one under-appreciated contrast between them is simply the mindset with which we approach them. In listening to stories we tend to suspend disbelief in order to be entertained, whereas in evaluating statistics we generally have an opposite inclination to suspend belief in order not to be beguiled. A drily named distinction from formal statistics is relevant: we’re said to commit a Type I error when we observe something that is not really there and a Type II error when we fail to observe something that is there. There is no way to always avoid both types, and we have different error thresholds in different endeavors, but the type of error people feel more comfortable may be telling. It seems to me that for science, the correct emphasis should be on the statistics. That is, we should be more worried about observing something that is not really there. But as humans, statistics is often too dry and too abstract for us to understand intuitively, to generate that comfortable internal feeling of understanding. Thus, our peers often demand that we give not only the statistical explanation but also a narrative one. Sometimes, this can be tricky because the structure of the two modes of explanation are in fundamental opposition, for instance, if the narrative must include notions of randomness or stochasticity. In such a case, there is no reason for any particular outcome, only reasons for ensembles or patterns of outcomes. The idea that things can happen for no reason is highly counter intuitive , and yet in the statistical sciences (which is today essentially all sciences), this is often a critical part of the correct explanation . For the social sciences, I think this is an especially difficult balance to strike because our intuition about how the world works is built up from our own individual-level experiences, while many of the phenomena we care about are patterns above that level, at the group or population levels . In Flatland, E.A. Abbot's (1884) classic science-fiction fable about realms of perception, a sphere from the world of three dimensions enters the plane of two-dimensional Flatland (where it is perceived as an expanding circle). In a notable scene, he lifts a Flatlander out of his own world and into the third dimension. Imagine the conceptual reorientation demanded by such an utterly new and higher-order view. I do not suggest that the move from organism to species could be nearly so radical, or so enlightening, but I do fear that we have missed much by over reliance on familiar surroundings. An instructive analogy might be made, in conclusion, to our successful descent into the world of genes, with resulting insight about the importance of neutralism in evolutionary change. We are organisms and tend to see the world of selection and adaptation as expressed in the good design of wings, legs, and brains. But randomness may predominate in the world of genes--and we might interpret the universe very differently if our primary vantage point resided at this lower level. We might then see a world of largely independent items, drifting in and out by the luck of the draw--but with little islands dotted about here and there, where selection reins in tempo and embryology ties things together. What, then, is the different order of a world still larger than ourselves? If we missed the world of genic neutrality because we are too big, then what are we not seeing because we are too small? We are like genes in some larger world of change among species in the vastness of geological time. What are we missing in trying to read this world by the inappropriate scale of our small bodies and minuscule lifetimes? To quote Howard T. Odum (1924-2002), the eminent American ecologist, on a similar theme: "To see these patterns which are bigger than ourselves, let us take a special view through the macroscope." Statistical explanations, and the weird and diffuse notions of causality that come with them, seem especially well suited to express in a comprehensible form what we see through this "macroscope" (and often what we see through microscopes). And increasingly, our understanding of many important phenomena, be they social network dynamics, terrorism and war, sustainability, macroeconomics, ecosystems, the world of microbes and viruses or cures for complex diseases like cancer, depend on us seeing clearly through some kind of macroscope to understand the statistical behavior of a population of potentially interacting elements. 27 October 2010: This piece is also being featured on Nature's Soapbox Science blog. Actually, even defining what we mean by "explain" is a devilishly tricky problem. Invariably, different fields of scientific research have (slightly) different definitions of what "explain" means. In some cases, a statistical explanation is sufficient, in others it must be deterministic, while in still others, even if it is derived using statistical tools, it must be rephrased in a narrative format in order to provide "intuition". I'm particularly intrigued by the difference between the way people in machine learning define a good model and the way people in the natural sciences define it. The difference appears, to my eye, to be different emphases on the importance of intuitiveness or "interpretability"; it's currently deemphasized in machine learning while the opposite is true in the natural sciences. Fortunately, a growing number of machine learners are interested in building interpretable models, and I expect great things for science to come out of this trend. In some areas of quantitative science, "story telling" is a grave insult, leveled whenever a scientist veers too far from statistical modes of explanation ("science") toward narrative modes ("just so stories"). While sometimes a justified complaint, I think completely deemphasizing narratives can undermine scientific progress. Human intuition is currently our only way to generate truly novel ideas, hypotheses, models and principles. Until we can teach machines to generate truly novel scientific hypotheses from leaps of intuition, narratives, supported by appropriate quantitative evidence, will remain a crucial part of science. Another fascinating aspect of the interaction between these two modes of explanation is that one seems to be increasingly invading the other: narratives, at least in the media and other kinds of popular discourse, increasing ape the strong explanatory language of science. For instance, I wonder when Time Magazine started using formulaic titles for its issues like "How X happens and why it matters" and "How X affects Y", which dominate its covers today. There are a few individual writers who are amazingly good at this form of narrative, with Malcolm Gladwell being the one that leaps most readily to my mind. His writing is fundamentally in a narrative style, stories about individuals or groups or specific examples, but the language he uses is largely scientific, speaking in terms of general principles and notions of causality. I can also think of scientists who import narrative discourse into their scientific writing to great effect. Doing so well can make scientific writing less boring and less opaque, but if it becomes more important than the science itself, it can lead to "pathological science". Which is perhaps why the common belief that "everything happens for a reason" persists so strongly in popular culture. It cannot, of course, be the entire explanation. For instance, the notion among Creationists that natural selection is equivalent to "randomness" is completely false; randomness is a crucial component of way natural selection constructs complex structures (without the randomness, natural selection could not work) but the selection itself (what lives versus what dies) is highly non-random and that is what makes it such a powerful process. Another source of tension on this question comes from our ambiguous understanding of the relationship between our perception and experience of free will and the observation of strong statistical regularities among groups or populations of individuals. This too is a very old question. It tormented Rev. Thomas Malthus (1766-1834), the great English demographer, in his efforts to understand how demographic statistics like birth rates could be so regular despite the highly contingent nature of any particular individual's life. Malthus's struggles later inspired Ludwig Boltzmann (1844-1906), the famous Austrian physicist, to use a statistical approach to model the behavior of gas particles in a box. (Boltzmann had previously been using a deterministic approach to model every particle individually, but found it too complicated.) This contributed to the birth of statistical physics, one of the three major branches of modern physics and arguably the branch most relevant to understanding the statistical behavior of populations of humans or genes. A few months ago, I was invited to write a column for Nature's Journal Club. This series appears every week in their print edition and the text is also posted on the Journal Club's blog. The instructions were pretty simple: pick a paper with broad appeal, which has been published sometime in the last year or so and which has not appeared in Nature , and write about 260 words summarizing the results and describing why I like it. I was encouraged to be provocative, too, but I'll leave it to you to decide if I was that bold. Many species are concentrated in biodiversity hot spots such as tropical rainforests and coral reefs. But our estimates of how many species these and other ecosystems contain are very rough. Conservation efforts and ecological theories would be better served by a more accurate picture. Our best guesses come from empirical species–area relationships, which count the number of species observed as a function of geographical area. These relationships show sharp increases at local and continental scales, but slow growth at intermediate scales. Despite decades of study, ecologists have no clear explanation of this pattern's origins or what causes deviations from it. These species-area relationships (SARs) are ubiquitous in ecology largely because ecological survey practices have long focused on counting species within a specific study region. Most such data is collected from small survey areas and these data are then combined within a meta-study to get up to the regional or continental scales. Perhaps because of the ease of constructing SARs, much ink has been spilled over their structure. They're also our only reliable tool for estimating how many species live in places like the Amazon or the Great Barrier Reef, which are too large to survey completely. What's clear from all this work is that there are some general patterns in SARs, and that if we want to use them in unconventional places, such as in estimating the number of microbial species in the world (or in smaller regions, like your gut), then we need a good theoretical explanation of where those patterns come from and what processes cause deviations from them at different length scales. That is, we need a good null model. Creating one is largely what O'Dwyer and Green have done. There have, of course, been previous explanations of parts of the SAR pattern, with various amounts of biological realism. On the more unrealistic side, simple iid sampling from a sufficiently heavy-tailed distribution can generate SARs with power-law slopes in the right neighborhood. But, this kind of explanation ignores biological processes like speciation, extinction, dispersal in space, competition, etc., not to mention abiotic factors like geography and climate. Building on previous work on neutral processes to explain biodiversity patterns, O'Dwyer and Green built a null model containing only the neutral processes of birth, death and dispersal. What makes this model different from, and better than, previous efforts is that it explicitly incorporates a notion of spatial structure by embedding species in space and allowing them to move around. This is helpful because it gets directly at the SAR. The problem, however, is that spatially explicit stochastic processes can be difficult to solve mathematically. Fortunately, O'Dwyer and Green could use tools from quantum field theory, which is well suited to solving this kind of spatial stochastic model. Aside from the coolness of using quantum field theory in ecology and the fact that it predicts an SAR that agrees with decades of data, what I like about this result is that it illustrates two things close to my heart. First, it's a beautiful example of a null model. Because it includes only boring, neutral processes in generating its prediction for the SAR, when empirical data deviates from the model's prediction, those deviations can be interpreted as model mis-specification errors. In this case, that means interesting, non-neutral ecologically significant processes like competition, predation, habitat, climate, etc. In this way, it can generate new, specific hypotheses about what to test next. The second is that this approach to model building moves the emphasis of the science away from small-scale (in time or space), context-dependent processes and towards more large-scale (in time and space) neutral dynamics and principles. This kind of perspective is currently more common in the physical sciences than in the biological ones , but I hope to see more of it in biology in the future , and it's one of the things I think physics has to offer ecology . This aspect of O'Dwyer and Green's work fits nicely with my own on explaining why we see such huge morphological diversity in living and extinct species, and how whales got so much bigger than mice. In a way, the model I've been using is pretty similar to O'Dwyer and Green's: it omits all ecological processes, climate and geography, but includes neutral processes representing species birth, death (extinction), and dispersal (changes in body mass). The fact that both our neutral models do pretty well at correctly predicting the observed empirical data suggests that perhaps randomness, structured by a few relatively banal processes, might be a pretty good general explanation of how the biological world works at these very large scales. I suspect also that similar models, expanded to include some role for social institutions, will also work well to explain how societies work at large spatial and temporal scales. Finding out if this is true is something I hope to be around for. This criterion was a pleasant surprise. As much as I dislike Nature's outsized status and influence in science, I've been pleasantly surprised on several occasions by some of their policies. Someone there genuinely seems to care about the integrity of the scientific process. Full disclosure: Jessica recently joined the external faculty here at SFI and James will be starting as a postdoc at SFI in the Fall. That being said, I haven't really interacted much with either of them. O'Dwyer and Green, "Field theory for biogeography: a spatially explicit model for predicting patterns of biodiversity." Ecology Letters 13, 87-95 (2010). It's uncommon in the biological sciences, but not unknown. Mathematical evolutionary theory and population genetics are good examples of communities that frequently use null models in this way . I think the reason such an approach is more common in the physical sciences today is that we actually understand a great deal about the fundamental processes there, and what things can and should vary in different contexts, while we're still sorting those things out in biology. For sure, we're making progress, but it's slow going. It would be good for other fields, too, such as sociology and political science. The issue is, I think, that scientific progress toward general principles is always limited by the availability of data that reveal those principles. When scientists of any kind are restricted to having either rich data on a small number of examples (think of alchemy), or poor data on a large number of examples (think of polling data), it's hard to make real progress. In both cases, there are typically an embarrassment of reasonable explanations for the observed patterns and it's difficult to distinguish them with the crappy data we can get. This is partly why I'm excited about the increasing availability of "big data" on social behavior, largely coming out of digital systems like email, Facebook, Twitter, etc. These data are not a panacea for social science, since they have they have their own weird biases and pathologies, but they're rich data on huge samples of individuals, which is qualitatively different than what was available to social scientists in the past. Perhaps we can answer old questions using these new data, and perhaps we can even ask some new questions such as, Are the behavioral patterns at the population scale simply scaled up versions of the behavioral patterns at the individual scale? To summarize: what I think physics has to offer ecology, among other fields, is (i) a very impressive and useful set of mathematical tools and models, and (ii) a valuable shift in perspective, away from small-scale processes and toward large-scale processes and general principles. I'm not advocating that we replace ecologists with physicists, but rather that we encourage physicists to train and work with ecologists, and vice versa. Biology will always need scientists focused on understanding specific contexts, but it also needs scientists focused on synthesizing those context-specific results into more general theories, as I think O'Dwyer and Green have done. Generally, physicists often have a good intuition about which details will be important at the large-scale and they often have good mathematical tools for working out whether its true. The statistical models that underly most statistical hypothesis tests, which are ubiquitous in the biological and social sciences, are technically null models, too. But, in many cases, these are wholly inappropriate since their iid assumptions are grossly violated by the mechanistic processes actually at play. That being said, it can be hard to come up with a good null model because often we don't know which processes are the important ones to include. A topic for another day, I think. W. Timothy Gowers (homepage) won the Fields Medal in 1998 for work in functional analysis and combinatorics. Pleasantly, he also writes regularly at Gowers's Blog, although much of what he writes is over my head (I am probably more to blame for that fact than Gowers, however). But, this very pleasant talk he gave at the Clay Mathematics Institute for their Millennium Meeting back in 2000. His topic is generally the "Importance of Mathematics" (which of course is a familiar notion to long-time readers here), and he gives a highly entertaining intellectual meditation on the subject, and touches briefly on problems like graph coloring, computational complexity (as a way of distinguishing those things practical in theory and those things practical in practice), knot theory, and the Erdos-Kac theorem that the number of factors for a randomly chosen integer is normally distributed (something I hadn't heard before). Along the way, he gives a good explanation about why it's dangerous to cut funding to "useless" parts of mathematics (or, science) in favor of funding only the "useful" bits, and tries to convey the idea that the most important mathematics is also often the most beautiful. Sean over at Cosmic Variance has a nice review of Lee Smolin's The Trouble With Physics, which is itself a critique of theoretical physic's focus on string theory as the way to unify gravity with the other forces. Most of the review focuses on Smolin's criticism of string theory's dominance, but Sean points out that Smolin is actually making two arguments, one about string theory and one about supporting interesting alternative ideas. Smolin talks a great deal about the need for physics, and academia more generally, to support plucky upstart ideas and scholars with the courage and vision to think big and go against the grain. This is a larger point than the specific argument about how to best quantize gravity, and ultimately far more persuasive; it is likely, unfortunately, to be lost amidst the conflict between string theory and its discontents. Faculty positions and grant money are scarce commodities, and universities and funding agencies are naturally risk-averse. Under the current system, a typical researcher might spend five years in graduate school, three to six as a postdoc, and another six or seven as an assistant professor before getting tenure – with an expectation that they will write several competent papers in every one of those years. Nobody should be surprised that, apart from a few singular geniuses, the people who survive this gauntlet are more likely to be those who show technical competence within a dominant paradigm, rather than those who will take risks and pursue their idiosyncratic visions. The dogged pursuit of string theory through the 1970’s by Green and Schwarz is a perfect example of the ultimate triumph of the latter approach, and Smolin is quite correct to lament the lack of support for this kind of research today. Although he's talking about theoretical physicists, the same applies just as much to other disciplines (perhaps with shorter postdoc periods) and their relationship to upstart ideas. Of course, finding the right balance between "normal science" and "paradigm-shifting science" is not easy, and there is a big difference between supporting interesting new ideas and supporting crackpots. Sometimes, that distinction can be hard to see at first, but all good new ideas ultimately lead to really excellent science. Fortunately, there are places that actively encourage both both excellent work and thinking about crazy ideas. Update Oct. 4: Suresh blogs about Sean's review as well, and also zeros in on the same passage. He makes some valuable points about how important it is to build your own model of how to do good research. Separately, Dave Bacon blogs about Peter Shor's review of Smolin's book, in which Shor likens Nature to an insurance salesman. Although I've been reading Nature News for several years now (as part of my daily trawl for treasure in the murky waters of science), I first came to recognize one of their regular writers Philip Ball when he wrote about my work on terrorism with Maxwell Young. His essay, now hidden behind Nature's silly subscription-only barrier, sounded an appropriately cautionary note about using statistical patterns of human behavior to predict the future, and was even titled "Don't panic, it might never happen." The idea that there might be statistical laws that govern human behavior can be traced, as Ball does in his essay, back to the English philosopher Thomas Hobbes (1588-1679) in The Leviathan and to the French positivist philosopher Auguste Comte (1798-1857; known as the father of sociology, and who also apparently coined the term "altruism"), who were inspired by the work of physicists in mechanizing the behavior of nature to try to do the same with human societies. It seems, however, that somewhere between then and now, much of sociology has lost interest in such laws. A good friend of mine in graduate school for sociology (who shall remain nameless to protect her from the politics of academia) says that her field is obsessed with the idea that context, or nurture, drives all significant human behavior, and that it rejects the idea that overarching patterns or laws of society might exist. These, apparently, are the domain of biology, and thus Not Sociology. I'm kind of stunned that any field that takes itself seriously would so thoroughly cling to the nearly medieval notion of the tabula rasa (1) in the face of unrelenting scientific evidence to the contrary. But, if this territory has been abandoned by sociologists (2), it has recently, and enthusiastically, been claimed by physicists (who may or may not recognize the similarity of their work to a certain idea in science fiction). Ball's background is originally in chemistry and statistical physics, and having spent many years as an editor at Nature, he apparently now has a broad perspective on modern science. But, what makes his writing so enjoyable is the way he places scientific advances in their proper historical context, showing both where the inspiration may have come from, and how other scientists were developing similar or alternative ideas concurrently. These strengths are certainly evident in his article about the statistical regularity of terrorism, but he puts them to greater use in several books and, in particular, one on physicists' efforts to create something he calls sociophysics. As it turns out, however, this connection between physics and sociology is not a new one, and the original inspiration for statistical physics (one of the three revolutionary ideas in modern physics; the other two are quantum mechanics and relativity) is owed to social scientists. 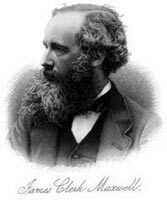 In the mid 1800s, James Clerk Maxwell, one of the fathers of statistical physics, read Henry Thomas Buckle's lengthy History of Civilization. Buckle was a historian by trade, and a champion of the idea that society's machinations are bound by fundamental laws. Maxwell, struggling with the question of how to describe the various motions of particles in a gas, was struck by Buckle's descriptions of the statistical nature of studies of society. Such studies sought not to describe each individual and their choices exactly, but instead represent the patterns of behavior statistically, and often pointed to surprising regularities, e.g., the near-stable birth or suicide rates in a particular region. As a result, Maxwell abandoned the popular approach of describing gas particles only using Newtonian mechanics, i.e., an attempt to describe every particle's position and motion exactly, in favor for a statistical approach that focused on the distribution of velocities. It was the profound success of these statistical descriptions that helped cement this approach as one of the most valuable tools available to physicists, and brought about some pretty profound shifts in our understanding of gasses, materials and even astrophysics. So, it seems fitting that statistical physicists are now returning to their roots by considering statistical laws of human behavior. Alas, I doubt that most such physicists appreciate this fact. These efforts, which Ball surveys in "Critical Mass" (Farrar, Straus and Giroux, 2004) via a series of well-written case studies, have dramatically altered our understanding of phenomena as varied as traffic patterns (which have liquid, gaseous, solid and meta-stable states along with the corresponding phase transitions), voting patterns in parliamentary elections (which display nice heavy-tailed statistics), the evolution of pedestrian traffic trails across a university quad, economics and the statistics of businesses and markets, and a very shallow discussion of social networks. Although his exposition is certainly aimed at the layman, he does not shy away from technical language when appropriate. Pleasantly, he even reproduces figures from the original papers when it serves his explanations. Given that these phenomena were drawn from a burgeoning field of interdisciplinary research, it's easy to forgive him for omitting some of my favorite topics, treating others only shallowly, and mercifully leaving out the hobby horses of cellular automata, genetic algorithms and artificial life. Now, after seeing that list of topics, you might think that "Critical Mass" was a book about complex systems, and you might be right. But, you might be wrong, too, which is the problem when there's no strict definition of a term. So, let's assume he has, and see what this offers in terms of clarifying the corresponding ontological question. For one thing, Ball's choices suggest that perhaps we do not need other ill-defined properties like emergence, self-organization or robustness (3) to define a complex system. Instead, perhaps when we say we are studying a "complex system," we simply mean that it has a highly heterogeneous composition that we seek to explain using statistical mechanisms. To me, the former means that I, because of my limited mental capacity to grasp complicated equations, relationships or a tremendously large configuration space, pretty much have to use a statistical characterization that omits most of the detailed structure of the system; also, I say heterogeneous because homogeneous systems are much easier to explain using traditional statistical mechanics. The latter means that I'm not merely interested in describing the system, which can certainly be done using traditional statistics, but rather in explaining the rules and laws that govern the formation, persistence and evolution of that structure. For me, this definition is attractive both for its operational and utilitarian aspects, but also because it doesn't require me to wave my hands, use obfuscating jargon or otherwise change the subject. In general, it's the desire to establish laws that reflects complex systems' roots in physics, and it is this that distinguishes it from traditional statistics and machine learning. In those areas, the focus seems to me to be more on predictive power ("Huzzah! My error rate is lower than yours.") and less on mechanisms. My machine learning friends tell me that people are getting more interested in the "interpretability" of their models, but I'm not sure this is the same thing as building models that reflect the true mechanical nature of the underlying system... of course, one fundamental difference between much of statistical learning and what I've described above is that for many systems, there's no underlying mechanism! We shouldn't expect problems like keeping the spam out of my inbox to exhibit nice mechanistic behavior, and there are a tremendous number of such problems out there today. Fortunately, I'm happy to leave those to people who care more about error rates than mechanisms, and I hope they're happy to leave studying the (complex) natural world, mechanisms and all, to me. (1) The notion of the tabula rasa is not antithetical to the idea that there are patterns in social behavior, but patterns per se are not the same as the kind of societal laws that the founders of sociology were apparently interested in, i.e., sociology apparently believes these patterns to be wholly the results of culture and not driven by things that every human shares like our evolutionary history as a species. I suppose there's a middle ground here, in which society has created the appearance of laws, which the sociophysicists then discover and mistake for absolutes. Actually, I'm sure that much of what physicists have done recently can be placed into this category. (2) It may be the case that it is merely the portion of sociology that my friend is most familiar with that expresses this odd conviction, and that there are subfields that retain the idea that true mechanistic laws do operate in social systems. For all I know, social network analysis people may be of this sort; it would be nice to have an insider's perspective on this. (3) Like the notions of criticality and universality, these terms actually do have precise, technical definitions in their proper contexts, but they've recently been co-opted in imprecisely ways and are now, unfortunately and in my opinion, basically meaningless in most of the complex systems literature. In a past entry (which sadly has not yet scrolled off the bottom of the front page - sad because it indicates how infrequently I am posting these days), I briefly discussed the amusing public debate by Barabasi et al. and Souffer et al. over Barabasi's model of correspondence. At that point, I found the exchange amusing and was inclined to agree with the response article. However, let me rehash this topic and expose a little more light on the subject. Current models of human dynamics, used from risk assessment to communications, assume that human actions are randomly distributed in time and thus well approximated by Poisson processes. In contrast, ... the timing of many human activities, ranging from communication to entertainment and work patterns, [are] ... characterized by bursts of rapidly occurring events separated by long periods of inactivity. Here we show that the bursty nature of human behavior is a consequence of a decision based queuing process: when individuals execute tasks based on some perceived priority, the timing of the tasks will be heavy tailed, most tasks being rapidly executed, while a few experience very long waiting times. (Emphasis is mine.) Barabasi is not one to shy away from grand claims of universality. As such, he epitomizes the thing that many of those outside of the discipline hate about physicists, i.e., their apparent arrogance. My opinion is that most physicists accused of intellectual arrogant are misunderstood, but that's a topic for another time. In a recent letter, Barabasi claims that the dynamics of a number of human activities are scale-free. He specifically reports that the probability distribution of time intervals tau between consecutive e-mails sent by a single user and time delays for e-mail replies follow a power-law with an exponent -1, and proposes a priority-queuing process as an explanation of the bursty nature of human activity. Here, we quantitatively demonstrate that the reported power-law distributions are solely an artifact of the analysis of the empirical data and that the proposed model is not representative of e-mail communication patterns. (Emphasis is mine.) In this comment, Stouffer et al. strongly criticize the data analysis that Barabasi uses to argue for the plausibility and, indeed, the correctness of his priority-based queueing model. I admit that when I first read Barabasi's queueing model, I thought that surely the smart folks who have been dealing with queueing theory (a topic nearly a century old!) knew something like this already. Even if that were the case, the idea certainly qualifies as interesting, and I'm happy to see a) the idea published, although Nature was likely not the appropriate place and b) the press attention that Barabasi has brought to the discipline of complex systems and modeling. Anyway, the heart of the data-analysis based critique of Barabasi's work lies in distinguishing two different kinds of heavy-tailed distributions: the log-normal and the power law. Because of a heavy tail is an asymptotic property, these two distributions can be extremely difficult to differentiate when the data only spans a few orders of magnitude (as is the case here). Fortunately, statisticians (and occasionally, myself) enjoy this sort of thing. Stouffer et al. employ such statistical tools in the form of Bayesian model selection to choose between the two hypotheses and find the evidence of the power law lacking. It was quite dissatisfying, however, that Stouffer et al. neglected to discuss their model selection procedure in detail, and instead chose to discuss the politicking over Barabasi's publication in Nature. [Stouffer et al.] revisit the datasets [we] studied..., making four technical observations. Some of [their] observations ... are based on the authors' unfamiliarity with the details of the data collection process and have little relevance to [our] findings ... and others are resolved in quantitative fashion by other authors. In the response, Barabasi discusses the details of the dataset that Stouffer et al. fixated on: that the extreme short-time behavior of the data is actually an artifact of the way messages to multiple recipients were logged. They rightly emphasize that it is the existence of a heavy tail that is primarily interesting, rather than its exact form (of course, Barabasi made some noise about the exact form in the original paper). However, it is not sufficient to simply observe a heavy tail, posit an apparently plausible model that produces some kind of such tail and then declare victory, universality and issue a press release. (I'll return to this thought in a moment.) As a result, Barabasi's response, while clarifying a few details, does not address the fundamental problems with the original work. Problems that Stouffer et al. seem to intuit, but don't directly point out. A month ago, Suresh over at the Geomblog published a comment on the controversy by Michael Mitzenmacher (whose work I greatly enjoy) in which he touches briefly on the real issue here. While the rebuttal suggests the data is a better fit for the lognormal distribution, I am not a big believer in the fit-the-data approach to distinguish these distributions. The Barabasi paper actually suggested a model, which is nice, although the problem of how to verify such a model is challenge... This seems to be the real problem. Trust me, anyone can come up with a power law model. The challenge is figuring out how to show your model is actually right. That is, first and foremost, the bursty nature of human activity is odd and, in that alluring voice only those fascinated by complex systems can hear, begs for an explanation. Second, a priority-based queueing process is merely one possible explanation (out of perhaps many) for the heaviness and burstiness. The emphasis is to point out that there is a real difficulty in nailing down causal mechanisms in human systems. often the best we can do is concoct a theory and see if the data supports it. That is, it is exceedingly difficult to go beyond mere plausibility without an overwhelming weight of empirical evidence and, preferably, the vetting of falsifiable hypotheses. The theory of natural selection is an excellent example that has been validated by just such a method (and continues to be). Unfortunately, simply looking at the response time statistics for email or letters by Darwin or Einstein, while interesting from the socio-historical perspective, does not prove the model. On the contrary: it merely suggests it. That is, Barabasi's work demonstrates the empirical evidence (heavy-tails in the response times of correspondence) and offers a mathematical model that generates statistics of a similar form. It does not show causality, nor does it provide falsifiable hypotheses by which it could be invalidated. Barabasi's work in this case is suggestive but not explanatory, and should be judged accordingly. To me, it seems that the contention over the result derives partly from the overstatement of its generality, i.e., the authors claims their model to be explanatory. Thus, the argument over the empirical data is really just an argument about how much plausibility it imparts to the model. Had Barabasi gone beyond suggestion, I seriously doubt the controversy would exist. Considering the issues raised here, personally, I think it's okay to publish a results that is merely suggestive so long as it is honestly made, diligently investigated and embodies a compelling and plausible story. That is to say that, ideally, authors should discuss the weakness of their model, empirical results and/or mathematical analysis, avoid overstating the generality of the result (sadly, a frequent problem in many of the papers I referee), carefully investigate possible biases and sources of error, and ideally, discuss alternative explanations. Admittedly, this last one may be asking a bit much. In a sense, these are the things I think about when I read any paper, but particularly when I referee something. This thread of thought seems to be fashionable right now, as I just noticed that Cosma's latest post discusses criteria for accepting or rejecting papers in the peer review process. Some time ago, a discussion erupted on Crooked Timber about the ettiquete of interdisciplinary research. This conversation was originally sparked by Eszter Hargittai, a sociologist with a distinct interest in social network analysis, who complained about some physicists working on social networks and failing to appropriately cite previous work in the area. I won't rehash the details, since you can read them for yourself. However, the point of the discussion that is salient for this post is the question of where and how one should publish and promote interdisciplinary work. Over the better half of this past year, I have had my own journey with doing interdisciplinary research in political science. Long-time readers will know that I'm referring to my work with here, here and here). In our paper (old version via arxiv), we use tools from extremal statistics and physics to think carefully about the nature and evolution of terrorism, and, I think, uncover some interesting properties and trends at the global level. Throughout the process of getting our results published in an appropriate technical venue, I have espoused the belief that it should either go to an interdisciplinary journal or one that political scientists will read. That is, I felt that it should go to a journal with an audience that would both appreciate the results and understand their implications. This idea of appropriateness and audience, I think, is a central problem for interdisciplinary researchers. In an ideal world, every piece of novel research would be communicated to exactly that group of people who would get the most out of learning about the new result and who would be able to utilize the advance to further deepen our knowledge of the natural world. Academic journals and conferences are a poor approximation of this ideal, but currently they're the best institutional mechanism we have. To correct for the non-idealness of these institutions, academics have always distributed preprints of their work to their colleagues (who often pass them to their own friends, etc.). Blogs, e-print archives and the world wide web in general constitute interesting new developments in this practice and show how the fundamental need to communicate ideas will co-opt whatever technology is available. Returning to the point, however, what is interesting about interdisciplinary research is that by definition it has multiple target audiences to which it could, or should, be communicated. Choosing that audience can become a question of choosing what aspects of the work you think are most important to science in general, i.e., what audience has the most potential to further develop your ideas? For physicists working on networks, some of their work can and should be sent to sociology journals, as its main contribution is in the form of understanding social structure and implication, and sociologists are best able to use these discoveries to explain other complex social phenomena and to incorporate them into their existing theoretical frameworks. In our work on the statistics of terrorism, Maxwell and I have chosen a compromise strategy to address this question: while we selected general science or interdisciplinary journals to send our first manuscript on the topic, we have simultaneously been making contacts and promoting our ideas in political science so as to try to understand how to further develop these ideas within their framework (and perhaps how to encourage the establishment to engage in these ideas directly). This process has been educational in a number of ways, and recently has begun to bear fruit. For instance, at the end of October, Maxwell and I attended the International Security Annual Conference (in Denver this year) where we presented our work in the second of two panels on terrorism. Although it may have been because we announced ourselves as computer scientists, stood up to speak, used slides and showed lots of colorful figures, the audience (mostly political scientists, with apparently some government folk present as well) was extremely receptive to our presentation (despite the expected questions about statistics, the use of randomness and various other technical points that were unfamiliar to them). This led to several interesting contacts and conversations after the session, and an invitation to the both of us to attend a workshop in Washington DC on predictive analysis for terrorism that will be attended by people from the entire alphabet soup of spook agencies. Also, thanks to the mention of our work in The Economist over the summer, we have similarly been contacted be a handful of political scientists who are doing rigorous quantitative work in a similar vein as ours. We're cautiously optimistic that this may all lead to some fruitful collaborations, and ultimately to communicating our ideas to the people to whom they will matter the most. Despite the current popularity of the idea of interdisciplinary research (not to be confused with excitement about the topic itself, which would take the form of funding), if you are interested in pursuing a career in it, like many aspects of an academic career, there is little education about its pitfalls. The question of etiquette in academic research deserves much more attention in graduate school than it currently receives, as does its subtopic of interdisciplinary etiquette. Essentially, it is this last idea that lays at the heart of Eszter Hargittai's original complaint about physicists working on social networks: because science is a fundamentally social exercise, there are social consequences for not observing the accepted etiquette, and those consequences can be a little unpredictable when the etiquette is still being hammered out as in the case of interdisciplinary research. For our work on terrorism, our compromise strategy has worked so far, but I fully expect that, as we continue to work in the area, we will need to more fully adopt the mode and convention of our target audience in order to communicate effectively with them. Tim Burke (History professor at Swarthmore College) recently discussed (again) his thoughts on the future of academia. That is, why would it take for college costs to actually decrease. I assume this arises at least partially as a result of the recent New York Times article on the ever increasing tuition rates for colleges in this country. He argues that modern college costs rise at least partially as a result of pressure from lawsuits and parents to provide in loco parentis to the kids attending. Given the degree of hand-holding I experienced at Haverford, perhaps the closest thing to Swarthmore without actually being Swat, this makes a lot of sense. I suspect, however, that tuition prices will continue to increase apace for the time being, if only because enrollment rates continue to remain high. ... the more highly selective a college or university is in its admission policies, the more useful it is for an employer as a device for identifying potentially valuable employees, even if the employer doesn’t know or care what happened to the potential employee while he or she was a student. This assertion belies an assumption about whose pervasiveness I wonder. Basically, Burke is claiming that selectivity is an objective measure of something. Indeed, it is. It's an objective measure of the popularity of the school, filtered through the finite size of a freshman class that the school can reasonably admit, and nothing else. A huge institution could catapult itself higher in the selectivity rankings simply by cutting the number of students it admits. Here we show that the bursty nature of human behavior is a consequence of a decision based queueing process: when individuals execute tasks based on some perceived priority, the timing of the tasks will be heavy tailed, most tasks being rapidly executed, while a few experience very long waiting times. A.-L. Barabasi (2005) "The origin of bursts and heavy tails in human dynamics." Nature 435, 207. ... we quantitatively demonstrate that the reported power-law distributions are solely an artifact of the analysis of the empirical data and that the proposed model is not representative of e-mail communication patterns. D. B. Stouffer, R. D. Malmgren and L. A. N. Amaral (2005) "Comment on The origin of bursts and heavy tails in human dynamics." e-print. There are several interesting threads imbedded in this discussion, the main one being on the twin supports of good empirical research: 1) rigorous quantitative tools for data analysis, and 2) a firm basis in empirical and statistical methods to support whatever conclusions you draw with aforementioned tools. In this case, Stouffer, Malmgren and Amaral utilize Bayesian model selection to eliminate the power law as a model, and instead show that the distributions are better described by a log-normal distribution. This idea of the importance of good tools and good statistics is something I've written on before. Cosma Shalizi is a continual booster of these issues, particularly among physicists working in extremal statistics and social science. And finally, Carl Zimmer, always excellent, on the evolution of language. This past week, I attended the Statistics on Networks workshop at the National Academies of Science in Washington DC, where I saw many familiar faces and many new ones. In particular, I was very happy to finally meet Jon Kleinberg, John Doyle, Steve Borgatti and my collaborator Dimitris Achlioptas. And it was nice to see Walter Willinger and Chris Wiggins again, both of whom I met at the MSRI workshop on networks earlier this year. And naturally, it was nice to see my collaborator Mark Newman again, even though we correspond pretty regularly. Now that I've distributed the appropriate linkage for the search engines, let me get on with my thoughts. This workshop was interesting for a couple of reasons. First, the audience contained statisticians, social scientists, computer science/physics people, and engineers/biologists. Certainly the latter two groups presented very different perspectives on networks, with the former being interested in universality properties and random models of networks, while the latter was much more interested in building or decomposing a particular kind or instance of a network. The social scientists present (and there were many of them) seemed to have a nicely balanced perspective on the usefulness of random models, with perhaps a slight leaning toward the computer science/physics side. Naturally, this all made for interesting dinner and wrap-up discussion. For myself, my bias is naturally in the direction of appreciating models that incorporate randomness. However, it's true that when translated through a particular network model, randomness can itself generate structure (e.g., random graphs with power law degree distributions tend to have a densely connected core of high degree vertices, a structure that is a poor model for the core of the internet, where mixing is disassortative). In the case of real world networks, I think random models yield the most benefit when used to explore the space of viable solutions to a particular constraint or control problem. Eve Marder's work (also at the workshop) on small networks of self-regulating neurons (in this case, those of the lobster gut) is a particularly good example of this approach. Second, although there were very few graduate students in attendance (I counted three, myself included), the environment was friendly, supportive and generally interesting. The workshop coordinators did a good job of inviting people doing interesting work, and I enjoyed just about all of the talks. Finally, it was interesting to see inside the National Academies a little. This institution is the one that fulfills the scientific inquiries of Congress, although I can't imagine this Congress listens to its scientists very much. The inter-disciplinary politics of interdisciplinary research or, "Hey, that was my idea first." A few days ago, Eszter Hargittai posted a rant on the joint-blog Crooked Timber about the entre of physicists into the subfield in sociology of social networks and her perception of their contributing mostly nothing of value. Her entry was prompted by this paper about the EuroVision Contest. I learned about the entry first when she reproduced it on the social networking listserv SOCNET; a list on which I lurk mostly because I'm too cheap to pay the membership fee and also because I mainly use it as a way to collect journal references for sociology literature. References which I imagine to myself that I'll read or use one day, although given the poor job I'm currently doing at keeping up with the recent papers in my own field, I may realistically never get around to. (This point is salient, and I'll return to it momentarily.) In the ensuing and relatively lively debate in the post's comments section, someone called for and then received attention from friend Cosma Shalizi, who blogs his own thoughts on the subject in his usual lengthy, heavily cross-referenced and edifying way. 1. Cosma's points are extremely thoughtful and are likely right on the money in terms of seeing the merits of both physicists contributions to social sciences and the argument of their reinvention of wheels. Most relevant to the rant about physicists not contributing anything of value to the field of social networks, he gives four excellent and broad examples of how physicists have added to our knowledge. 2. One of these points, which bears rehashing here, is that physicists are not just interested in social networks (it unfortunately illustrates the irony of the sociologists claims of academic injustice that this observation is abscent from their complaints). Physics training, and particularly that of statistical mechanics, the subfield that most physicists interested in social networks hail from, emphasizes that items of inquiry can, to as great an extent as possible, be treated as interchangeable. Thus, complex networks is the idea that social networks are just one kind of network. The progress physicists have made in carving out the field of complex networks has been somewhat spotty, perhaps because of their not knowing entirely how much of statistical mechanics to import and how much of a reliance on numerical simulation is reasonable (this touches on a related point, that there is not a firm consensus on how computational modeling and simulation should be incorporated into science to the same degree that theory and empiricism have been). If they have been arrogant toward other fields in their attempts to do this, then they should be chastised through letters to the editor of the journals that publish the offending articles. With regard to the EuroVision Contest article, Eszter Hargittai and Kieran Healy's best recourse is to write such a letter to Physica A illustrating that the work is not novel. 4. There's a deeper issue at play here, which Cosma has also discussed (his prolificness is truly impressive, even more so given its high quality). Namely, that there are more physicists than there is funding (or interest?) for physics problems. While I was at Haverford, one of my physics professors told me, without a hint of a smile, that in order to get a job in traditional physics, you basically had to work at one of the national laboratories, work at a particle accelerator laboratory, or work in condensed matter physics. None of these seemed particularly appealing, yet the ideas and approaches of physics were. So, it is perhaps entirely expected that similar folks in my position eventually branch out into other fields. This is, after all, the nature of interdisciplinary research, and physicists (along with mathematicians and, to a lesser degree, chemists) seem particularly well-equipped for this kind of adventure. With the rising emphasis among both funding agencies and universities for interdisciplinary research (which may or may not be simply lip-service), the future likelihood of inter-disciplinary ego-bruising seems high. 5. Obviously, in any scientific endeavor, interdisciplinary or otherwise, scientists should understand the literature that came before (I dislike the term "master", because it implies an amount of time-commitment that I think few people can honestly claim to have spent with literature). In my recent referee work for Physical Review E, I have routinely chastised authors for not writing better introductions that leave a reader with a firm understanding of the context (past and present) in which the fundamental questions they seek to address sit. When it comes to interdisciplinary work, these problems are particularly acute; not only do you have multiple bodies of literature to quickly and succinctly review, but you must also do so in a way accessible to the members of the each field. Some (but, by no means, all) physicists are certainly guilty of this when it comes to writing about social networks, as they are prone to reinventing the wheel. The most egregious example of which is the preferential attachment model of Barabasi and Albert, but it can (and should) be argued that this reinvention was extremely valuable, as it helped spark a wide degree of interest in the previous work and has prompted some excellent work on developing that idea since. So, the fundamental question that I think all of we who claim to be interdisciplinary must face and ultimately answer (in a way that can be communicated to future generations of interdisciplinary researchers, many of whom are in college right now) is, What is the most principled and reasonable way, given the constraints on attention, energy, time, knowledge, intelligence, etc., to allocate proper recognition (typically via citations and coauthorships) to previous and on-going work that is relevant to some interdisciplinary effort? Or, more succinctly, what's the most practical way to mitigate the inter-disciplinary politics of interdisciplinary research while encouraging it to the fullest extent possible? Closely related are questions about adequately evaluating the merit of research that does not fall squarely within the domain of a large enough body of experts for peer-review. As is the question of how academic departments should value interdisciplinary researchers and what role they should fill in the highly compartmentalized and territorial realm of academic disciplines.